Essentially it was very clear from the error message that Oracle Service instance keep looking for related assembly in old installation location (wrong drive letter). We switched to SmartObjects Services Tool only to see that there we are unable to edit or create new service instance of this service type. At this point I looked at old cases mentioning similar error message and surprisingly large amount of them was proposing workarounds and things not quite related with the root cause. We spend some time addressing missing prerequisite for this service type – 64-bit Oracle Data Access Components (ODAC) version 2.121.2.0 or higher, which mentioned as such in 4.7 user guide (_) and checking some related settings and so on. But I next paid attention to the fact that environment had 2 service type for Oracle one of them was working, while another one does not. 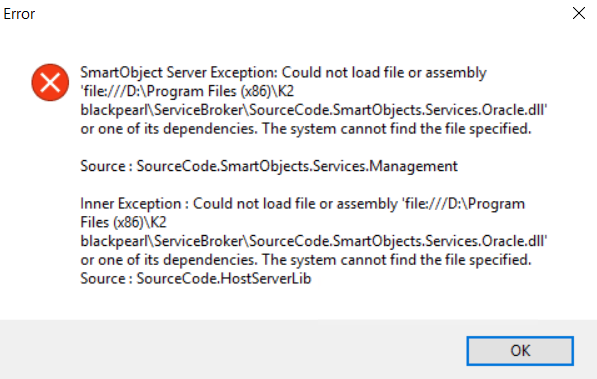 I next dropped assembly mentioned in error message in old installation location and restarted K2 service – it then fixed first Oracle service instance, but broken another one – it started to say that assembly SourceCode.SmartObjects.Services.Oracle.dll has been already loaded from another location, and this brought my focus back to the real problem – somehow one of the Oracle service types was not updated by K2 Setup Manager to use new installation path. Probably it was somehow “custom” and somehow was skipped by installer because of that. Anyhow my next step was finding where this path is defined. 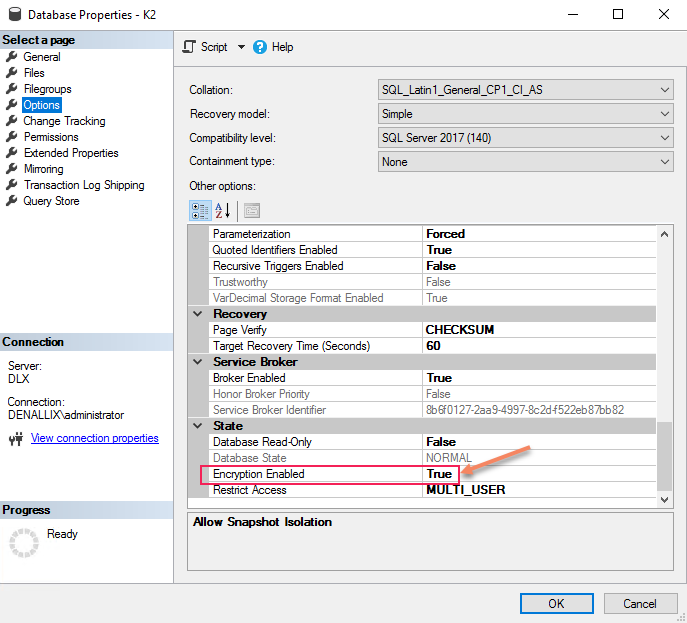 As soon as I confirmed that I cannot see/edit Service Type definition XML from SmartObjects Services Tool I switched to K2 database to check it there. I hope that this blog post may help someone who may bump into similar error in K2 and if not, then maybe you can make use of SQL script samples which use filtering based on values within XML columns. P.S. Note that all scripts mentioned above are for K2 4.7. In K2 Five (5.x) structure of the [SmartBroker]. [ServiceType] table has been changed – it no longer has XML column named [ServiceTypeXML] and assembly path is stored in dedicated text column [AssemblyLocation] instead. This entry was posted in K2, Tech and tagged K2, Service Type, SourceCode.SmartObjects.Services.Oracle.dll, SQL, XML on December 8, 2018 by Mikhail. Earlier I tried to compile list of Microsoft documentation and other resources relevant for 70-473 exam preparation but I quickly realized that exam scope makes this list too huge and unwieldy. I now decided that I would rather split this into smaller resources lists following specific exam sections. Below you can see the list of reading resources relevant for Design and Implement Security section of 70-473 exam. You will mainly find links to Microsoft documentation in this list. I tried to structure list of links below based on sub-objectives. + see also: What are some best practices for using schemas in SQL Server? Next time I will try to compile similar list for Design and implement high availability, disaster recovery, and scalability section of the exam. This entry was posted in SQL, Tech and tagged 70-473, Azure SQL, SQL on June 19, 2018 by Mikhail. This blog post explains how to enable Transparent Data Encryption (TDE) for SQL Database (on-premise/Azure). This approach called service-managed transparent data encryption and by default database encryption key is protected by a built-in server certificate. All newly created SQL databases are encrypted by default by using service-managed transparent data encryption. 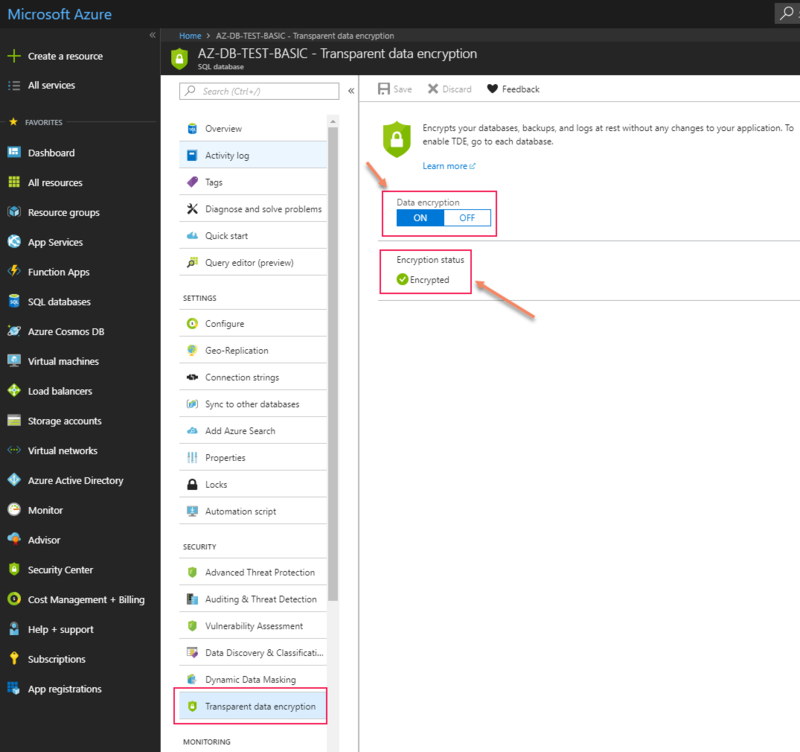 Other approach called Bring Your Own Key and requires use of Azure Key Vault. This entry was posted in How-to, SQL, Tech and tagged 70-473, Azure SQL, SQL, TDE, Transparent Data Encryption on May 30, 2018 by Mikhail.